Today’s post is a “reissue” of a post from two years ago–and the idea is a simple one…and one I have done for years. In my class, we do a HUGE amount of work in teams…teams of 2, teams of 3, teams of 4–and even bigger teams! Setting the climate for group work is critical from day 1–and I like to have a number of different ways to form those groups without wasting time on transitions. 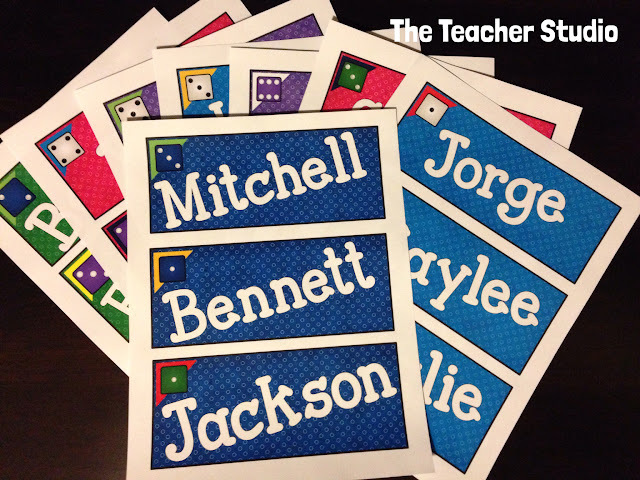 I use popsicle sticks with student names to draw random partners and trios all the time, but I also like to have some “set” groups when I start the year to save time. Here’s how I do it! Here they are for this year! Bold, bright, and USEFUL! 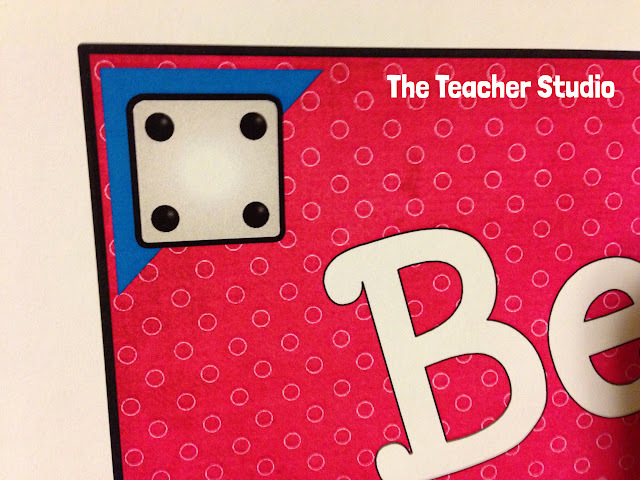 This student is in the pink name tag group, the white dice group, the “4’s” group, and the blue corner group! 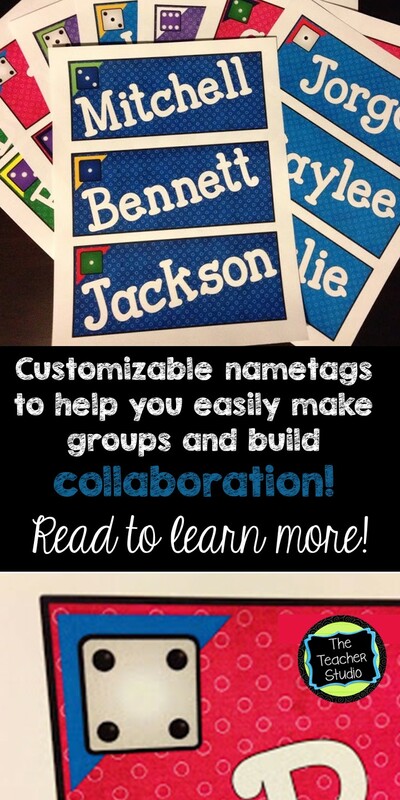 In past years I have made name tags on different colored paper, added different stickers to the corner, used letters and numbers…so I mix it up! The benefit is that if you DO use these groups often, they become comfortable working with those groups of students…and it’s a great way to have heterogeneous grouping for activities, lining up, or any time you want to have small groups. 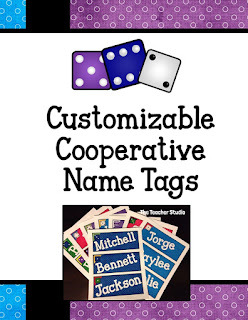 All I have to do is call out “Meet with your dice number group!” or “Meet with your name tag color team,” and the students know right who to work with–no class time wasted! Want to try this without the hassle of making them yourself? Here is the link to the ones I use. Have fun with them!